Facilities - Woodpecker Holidays, Pothamedu, Munnar - Operated By Group Farming Corporation India Ltd.
Woodpecker Resort is an ultimate place for Tourists that offers an environment that is free from the distractions of daily business life, by providing beautiful, spacious and lavish suite rooms. It is an ideal place to spend your leisure in the lap of nature away from the crowd. On the way one can see the legendary Pothamedu view point as well. In the pleasant woodpecker cottages while opening the windows to mist-shrouded mornings you will see breeze clears the air just in time for sunlight falling on the leafy hills. The suits are situated amidst lush green cardamom plants and lofty trees alongside the bright green landscape and rooms are designed in the distinctive vintage style with thoroughly modern comforts that presents the most luxurious, and versatile holidays. Far from the maddening city crowds, far from your frenzied schedules, you will definitely enjoy a tranquil beauty of nature all the time. At Woodpecker Resorts, water, air, earth and the voice of love come together that rejuvenates you with the essence of life and takes you through the heart and soul of nature deep in Munnar. This landscape is a synonym of marvel and beauty. Our resort is aiming at the satisfaction and comfort from your heart and are moving with all your perceptions of enjoyment. The resort is surrounded by Cardamom Plantations that gives you a pleasant cardamom fragrance. It is the most privileged summer resort where you will appreciate sweet echo and singing of birds that welcome you every moment. This incredibly beautiful resort is positioned at the centre of forest glades that offers breathtaking scenery amidst the thriving green tea plantations. You will have a view of combination of valleys, streams, cliffs, bubbling brooks, exotic wildlife and clear trout streams making it an irresistible place. The surrounding has got scented cool air that is filled with the aroma of spices. Its premises are wealthy with unique species of flora and fauna. You will discover that the place also has an extensive stretch of tea plantations that gives you a pleasant feeling. The peculiar landscape in which Woodpecker is located is covered with small forests, and grasslands. You will have a breathtaking vision of craggy rocks and natural well with charming scenic beauty. You can very well see teak, red sandalwood, rose wood, jungle jack, etc. at no distance. It is also place for bird watchers as rare species of birds are found in abundance. The premises are thoughtfully landscaped environment friendly. We provide wide range of absolute delicious food for reasonable prices with quick service giving more emphasis to food quality and hygiene. All provisions are available at reasonable prices. We maintain proper cleanliness at the tables and vicinity with appropriate waste management system. We serve hygienic and healthy desserts, Fresh tea, coffee and milk is available with us along with soft drinks. Packed grapes and mixed fruit juice is also available on demand. We have got Independent and cottage type buildings having well furnished rooms. All Cottages are situated around tall trees on hill slope with a breathtaking view. Buildings of ethnic styles offer you a relaxed stay. 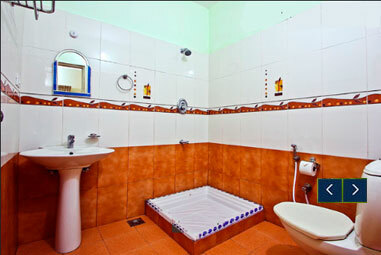 Each bedroom is provided with telephone, TV and 24 hrs hot water facilities. Our staffs are very friendly, polite and helpful. At the touch of a button, you bring the live and courteous service at any time of the day/night. There are children’s play area, activity rooms, and travel and information desks. We provide pick up and drop off facilities. There are conference hall and enough parking spaces. For medical assistance we have a doctor who is available 24 hrs right there at the resort. Therefore, Woodpecker is a perfect resort for adventure enthusiasts, honeymoon couples, wildlife and nature lovers. We make accommodation, food and even tourist guides available easily suiting your budgets. We recommend that it is ideal for tourists to spend at least 2 or 3 days and nights so as to enjoy all that we offer! Now you may decide as to where to go and what to choose!